Who else has children that love the purple-prickled, knobbly knee'd Gruffalo? Chunk and I spend many an evening reading the two famous stories, and he's now been given the board game to test out! 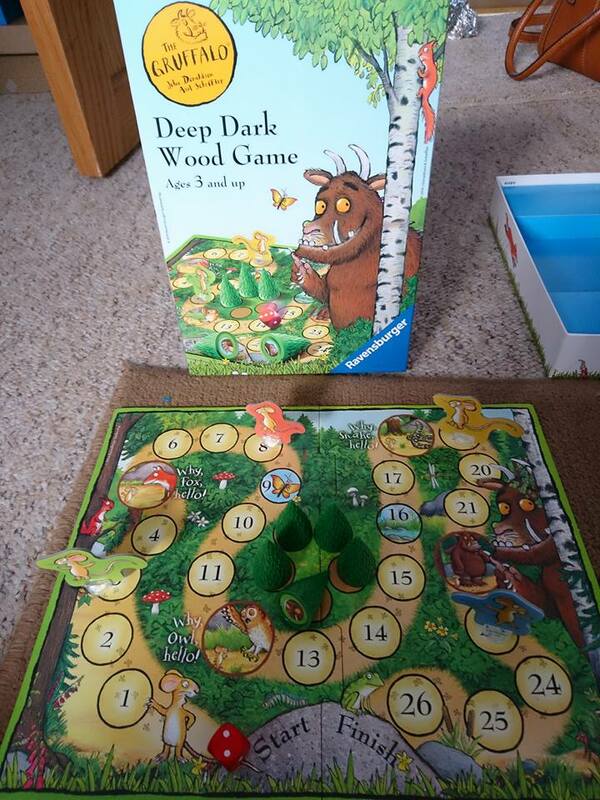 The Ravensburger Gruffalo Game (RRP £9.99) is designed for children aged 3+ and features the famous characters from the books including the fox, owl, snake and mouse. The idea of the game is to help your mouse get home safely using a dice and your memory. If you find the image of the Gruffalo under the trees you will scare the hungry animals away. If you find the other animals under the tree then you scare the Gruffalo away and get closer to your food. There is also a simpler version you can play for the younger children and we tried out both. Chunk enjoyed this game and it didn't take long for him to understand the rules after a couple of turns. There can be up to four players and I found this a really fun, but calming game so I recommend it for the last couple of hours before bedtime to get the kids chilled out and ready for bed. I like that it combines a range of skills for Chunk to use (and learn) from memorising where The Gruffalo is under the trees, to turn-taking and counting the spots on the dice and steps his mouse will then take. The game is quick and easy to set up and is made with good quality cardboard, meaning we should get quite a fair bit of usage out of it. 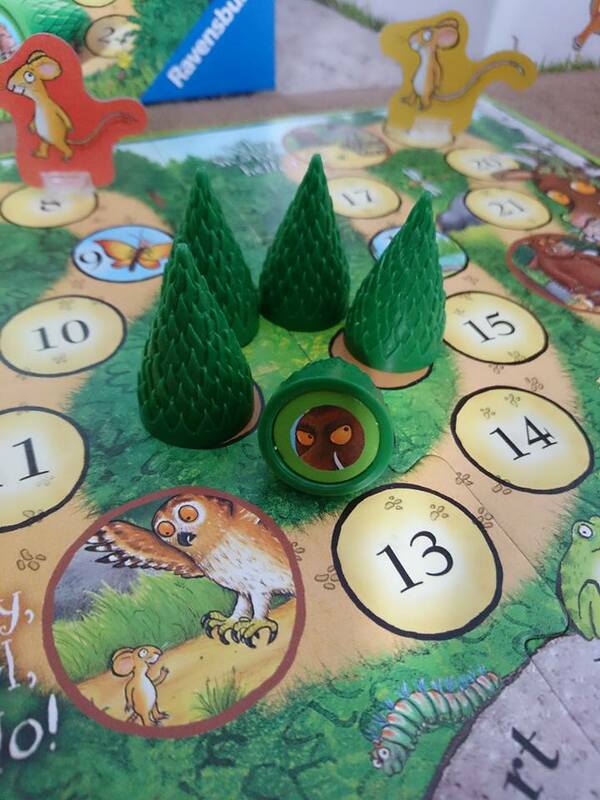 It's also quite an attractive game as the board is beautifully illustrated and looks like a story in itself. If your children are Gruffalo fans this is definitely something to put on their Christmas lists! Chunk was given this board game to test out for the purpose of this review. All opinions are honest and my own, and no payment was received.